To my 2nd brother who lives in Philippines now! I just want to greet you a Happy Happy Birthday. I received a text message that they celebrate his birthday in a dinner outside with the family. Many more birthdays to come and more blessing bro. Miss you much and more power being a Raiders. 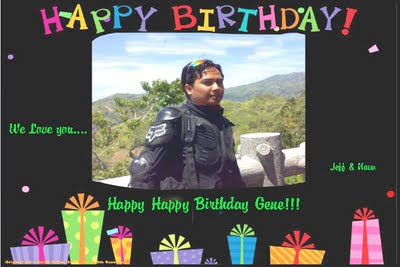 Happy birth day to your brother located in the Philippines. Wishing you also a Good Health and more power.